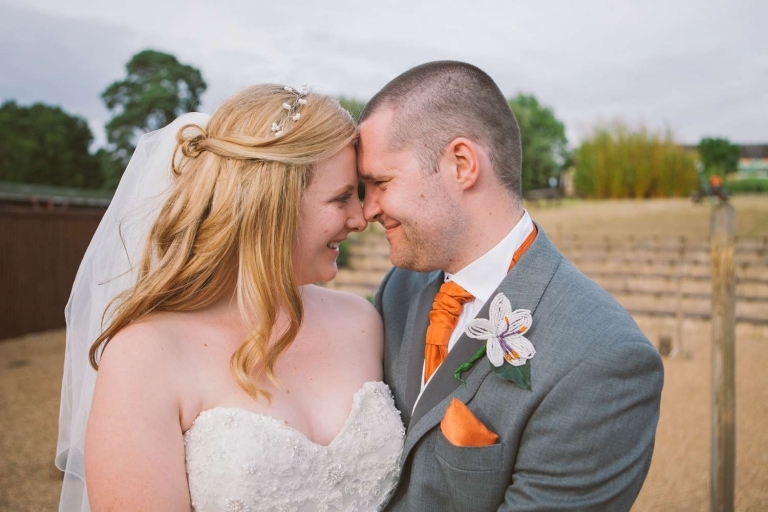 This wedding at Woburn Safari Park was full of all sorts of things I love. Tables named after different comic book heroes. Mickey and Minnie Mouse cake toppers. 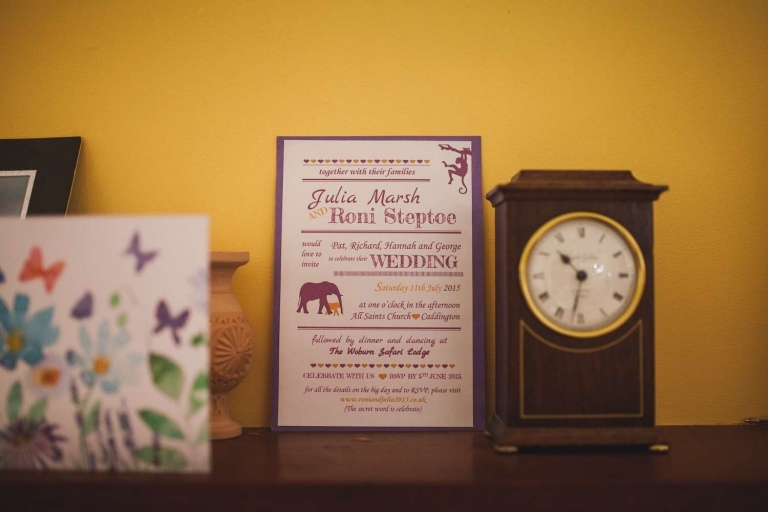 A safari park as a wedding reception venue. A bouncy castle. Rides on giant swan boats in a lake. An awesome magician. Sweet buffet. 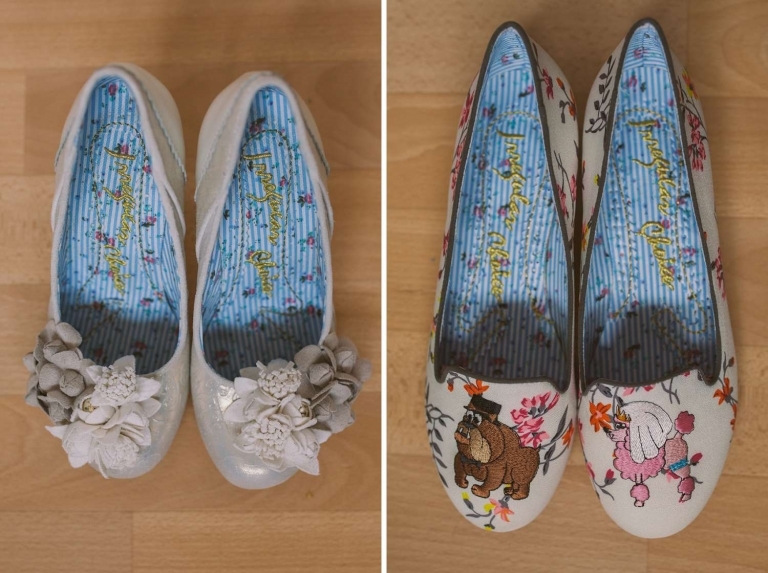 Irregular Choice wedding shoes, not just one pair but two! And a couple that trusted me when it came to their Woburn Safari Park wedding photography. 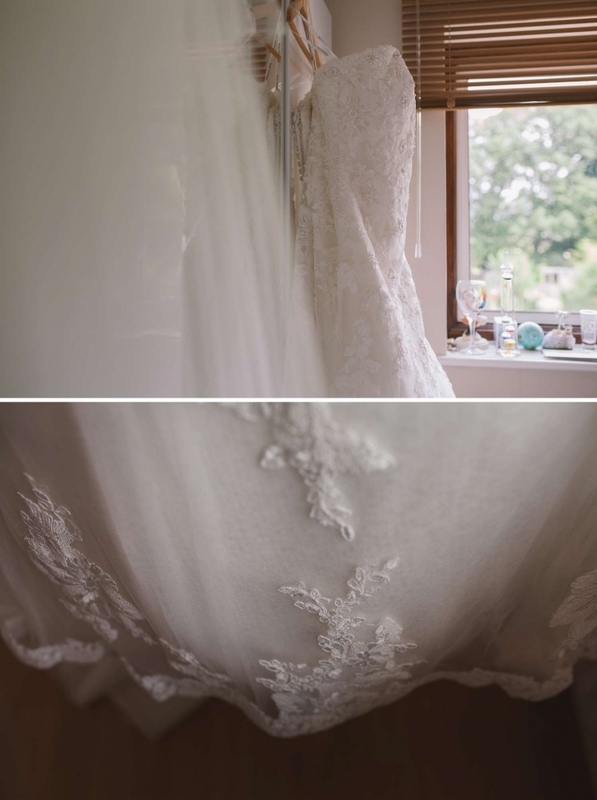 Julia and Roni were married at All Saints Church in Caddington, Bedfordshire before moving onto Woburn Safari Park for their wedding reception. It’s not everyday you get held up in traffic thanks to giraffes blocking the road! Their story: Julia got ready at her parents’ house with her four bridesmaids. She didn’t seem nervous at all as her hair and makeup was done by The Bridalworks. She sat quietly finishing off making her bouquet which she had made herself from beads to match their colour theme. Once she was dressed, they made their way to All Saints Church on such a beautiful, sunny day. The church was packed with their loved ones as Roni waited with his two best men for his bride to arrive. As Julia was reunited with Roni, they sang hymns before exchanging vows and rings. Julia was overcome with emotion but was able to keep it together to say her vows. Afterwards they smiled at their guests as they walked down the aisle as husband and wife. After a few group photos, everyone headed to Woburn Safari where most of the bridal party was stuck behind three giraffes stood in the road and didn’t want to move. Their reception room in the Safari Lounge was filled with purple and orange balloons, with the tables named after different superheroes. Their cake was decorated with purple and orange flowers, with Mickey and Minnie Mouse stood on the top. Adrian Ward performed magic for everyone to marvel over. After the wedding breakfast, speeches were given which were filled with laughter. Then the evening was spent having rides on the swan boats at the lake or bouncing on the bouncy castle before heading back in for the cutting of the cake and first dance to kick off the evening celebrations at this awesome wedding at Woburn Safari Park.